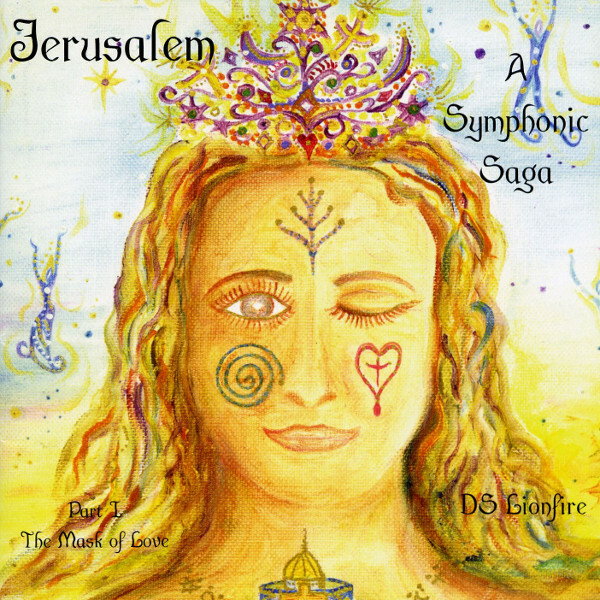 Jerusalem: A Symphonic Saga is a collosal undertaking of a fellow who calls himself D.S. Lionfire. He calls this creation of his an opera, the first part twenty years in the making, and the body of work to be completed with Part 7 in some near future. This is for certain a rock opera, with non-operatic voices, one moment soft drenched in acoustic guitar and lachrymose singing, the next a storm of hardrockish power. Although the lyrics of the opening piece “Opening Prayer” are drowned in a psychedelic morass of sound, in the other pieces the singing can be followed with ease. One wonders why a man dedicates his life to compose a barock work which would make sense in the 60s, but which now sounds completely outdated, since it doesn’t make any effort to transition to modern times and is sometimes recorded as if modern techniques don’t exist. And still how weird it must sound, this mosaic of light and dark works, in fact it even fascinates while it’s full of hidden closures of inspiration. While many will be put off by the whining male voice, the ones who can accept this kind of singing are in for psychedelic painting of wonder and will find the woman’s voice really radiantly beautiful. The only question remains if Mr. Lionfire will live long enough to complete his outrageous, megalomaniacal journey.